Recent campaigns across online platforms from companies like Solar Energy Today and EnergyBillCruncher.com are making untruthful claims that you can get paid to go solar – or that solar systems are free. We want to set the record straight. 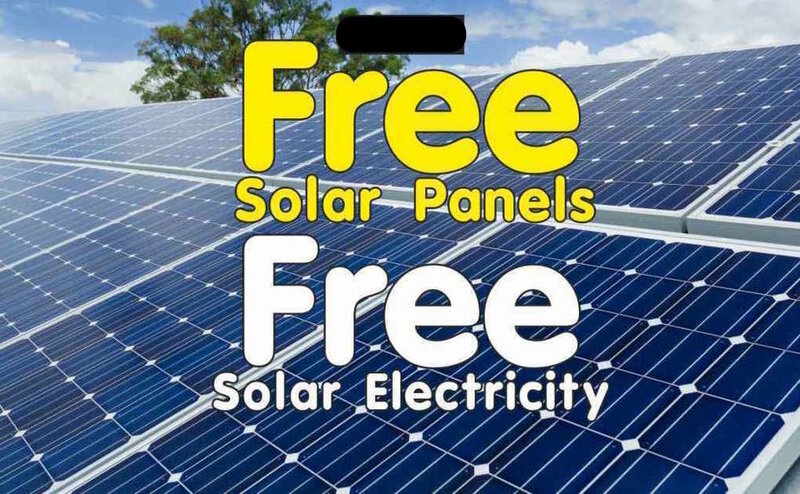 You might have recently come across ads on Google, Yahoo and various social media from the likes of Solar Energy Today or EnergyBillCruncher.com claiming that your local governor will release funds to provide free solar for California residents. Or from solar installers in your area claiming that you can actually get paid for putting a solar system on your home. The ads are leading consumers to believe these statements by twisting words around and leaving out crucial details to make it sound real. Let us explain what is true and what isn’t. 1. Can you actually get paid to go solar? The short answer is yes. But not from your governor. Instead, there is an attractive federal tax incentive (ITC credit) offering to cover 30 percent of the total cost of your solar energy system from your tax bill. This offer is valid for the rest of this year, after which it will start to step down to a lower percentage every year until it ends in 2022. In addition to the 30 percent federal tax credit, you can “get paid by getting solar” when your panels start creating more energy than you use. When this happens, you can sell the surplus power to the grid and back to the utility company. But some companies offer to give customers $1000 cash back if they buy a solar system, making it sound like they’re paying you to go solar. The wording, however, is highly misleading. Although you are in fact receiving the $1000, the solar companies are not actually paying you. In reality, the solar provider is offering you a cash back incentive – very similar to when a car dealer gives you money back if you purchase a brand new car. 2. Is your local governor releasing millions of dollars in solar incentives for homeowners? The answer to this question is no. This is a false claim that has no merit, and these ads are misleading homeowners by making them believe the government will cover their bill if they choose to go solar. Unfortunately as you go about your due diligence in researching and meeting with solar providers, you will come across installers who will sell you nothing more than unqualified lip service and say things that are simply not true just to earn your business. As a potential customer, doing proper research is important. We hope this article has helped clarify what is true and what is not when it comes to solar incentives. If you have any other questions about the claims in these ads, or about how solar can help save you up to thousands of dollars a year, please don’t hesitate to give us a call. Solar Optimum is happy to guide you. Click here to download our FREE Solar Panel Buyer’s Guide.